Like a trailing crystal bouquet, this vintage necklace is inspired by designs from the late 1940s. 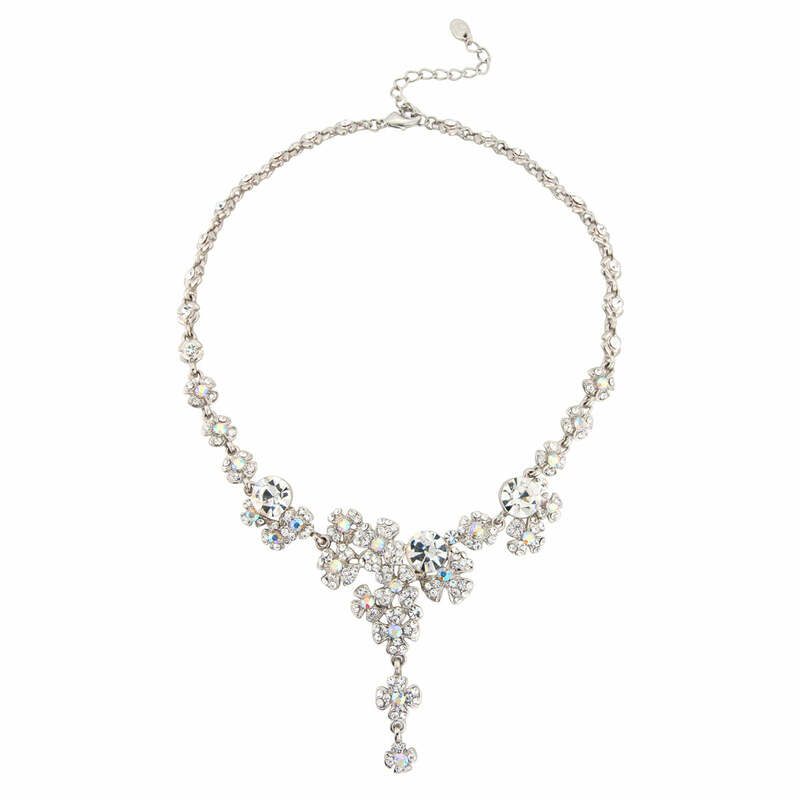 Featuring a trailing bouquet design adorned with sparkling clear and AB Austrian crystals, this exquisite necklace takes inspiration from costume jewellery from the late 1940s - early 1950s. Enchanting and captivating, clusters of floral posies lead to a trailing drop from a crystal studded chain. Classic and glamorous with delicate style, coordinate with matching earrings for a timeless vintage look. With a drop of 7cm, this versatile necklace compliments most necklines. An exceptionally beautiful wedding necklace for brides who adore the sheer romance and detail of vintage bridal jewellery, this exquisitely enhances crystal detailing on a gown. For classic antique chic style, coordinate this with a clear and AB crystal side tiara.